Prelims 2017 is considered to be the toughest exam in the last five years. 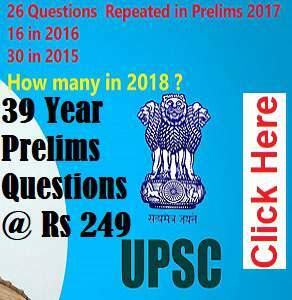 The cut-offs are expected to be lower than that of last year owing to the analytical nature of questions that found place in the exam and the consistent unpredictability that UPSC has managed to maintain every year. CSAT being slightly more difficult compared to last year hasn’t made life easier either. Going with an analysis on the GS paper, we are able to make a few interesting observations and comparing that to last year presents certain trends. The first striking thing about the paper is Polity. With quite a huge jump in the the number of questions, this section must have been the saving grace for most of those who appeared for Prelims this time. Our warning about the perils of ignoring Polity in the previous articles proved right. The number of questions asked in History continues to hover around the same number but the same cannot be assured of the difficulty level. Although the number of questions in Geography has increased from last year, they are nowhere close to what they used to be. Next year, you can perhaps expect a Polity-like jump. The number of questions in Economics has increased over the oats two years, but the nature of questions has undergone a huge change. Classifying various social sector schemes and programmes under Economics are primarily responsible for the number as core economics questions (see below) have taken the plunge. Environment was not seen in its usual self both in the number of questions as well as the nature of questions which were quite unconventional. The section that saw the biggest decrease this year is Science and Technology but that doesn’t sound worrying at all. With everything under and above the sky being asked here, the reduction would not add to the agony. Classifying the questions according to sections tell us that there hasn’t been a huge change from last year except for increase in Polity questions but that doesn’t give us the exact picture. So we dig deep, going to a sub-section based analysis. This throws some light on why the question paper seemed difficult to many of them. Economics is thoroughly dominated by Current Affairs and Schemes questions in which are quite factual in nature. Polity also goes out of the conventional way and does not contain questions that could be sourced to any particular book. Many questions in International Relations, Environmental Organisations and Science and Technology clearly fall under the ‘factual’ category leaving little choice for elimination and guessing. The paper actually does not look as difficult as it may be perceived as one can get a safe score by getting the conventional areas right and then getting a few guesses right. But that’s only one side of the story. How much easy were the conventional areas? 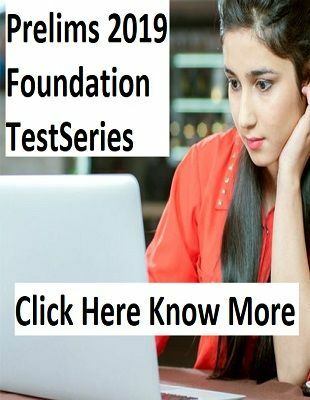 Were all the questions in Modern India as direct and easy as in the previous years? An analysis of the nature of the questions and comparing them again to previous years will perhaps give a clearer picture. That could wait for next part of this analysis. Continuing from where we left in the previous article where we analysed the split among different sections over the last five years and then the sub-topic wise classification in UPSC CSE Prelims 2017, we now move on to compare the same across the years. We try to dig deep to understand why the question paper looked different from the previous years and why it was assumed to be difficult by many aspirants. The paper obviously included a few surprises which is the only constant thing with UPSC. We also go on to analyse the nature of questions this year and get some reasoning for why cut-offs are predicted to decrease this year. At the outset, it must be happy news to look at this chart as the number of questions in Modern India has remained constant while questions from Ancient/Medieval India have witnessed a decrease. But the unconventional nature of questions from Modern India suggest otherwise. The number of long hours you might have to put into Physical Geography might appear without utility but you will never know what use it might be of when you open your GS1 paper in the Mains examination, 2017. Well, this tells about a trend. The number of questions in core economics has been on the decrease with a big shoot-up in schemes and current affairs. This is a carry-over of the previous year, but next year, we cannot be surprised if we witness a Polity-like U-turn. Whoa, there is no pattern here. One thing was clear – the idea where one can learn a standard book thoroughly and can run through Polity has been broken. The questions become a little more analytical but they stood within the limits of basic features, thus testing one’s grasp over the basics. It would have been a bit tough on those who are preparing with IFoS (Forest Services) examinations with full steam but the decrease in number of questions related to Environmental Organisations would be welcomed. Here too, there were a very few questions from conventional areas. With most of the questions being entirely related to the affairs in news, this was nearly the most predictable section this year. The questions asked in Science and Technology have been quite diverse. Although there were a few traditional Science questions in 2013 and 2014, the questions have moved to the Technology dimension over the last three years and have been related to Current Affairs. This explains the story of the Prelims Paper quite clearly. Less than 50% of the questions fall under the first two levels which makes the paper difficult compared to the last two years which saw simple and direct questions like ‘Jan Dhan Yojana is related to’ and ‘Reason for Surat Split’. 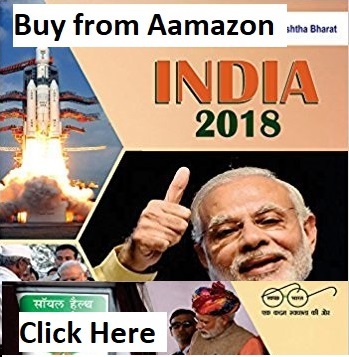 The questions relating to Government schemes this had tricky options and easier sections like Modern India had questions from unconventional areas. Only one thing is for sure: if you are going to appear for UPSC Prelims next time, make sure you cover all areas equally well and go in with an open mind without any expectations from the question paper.